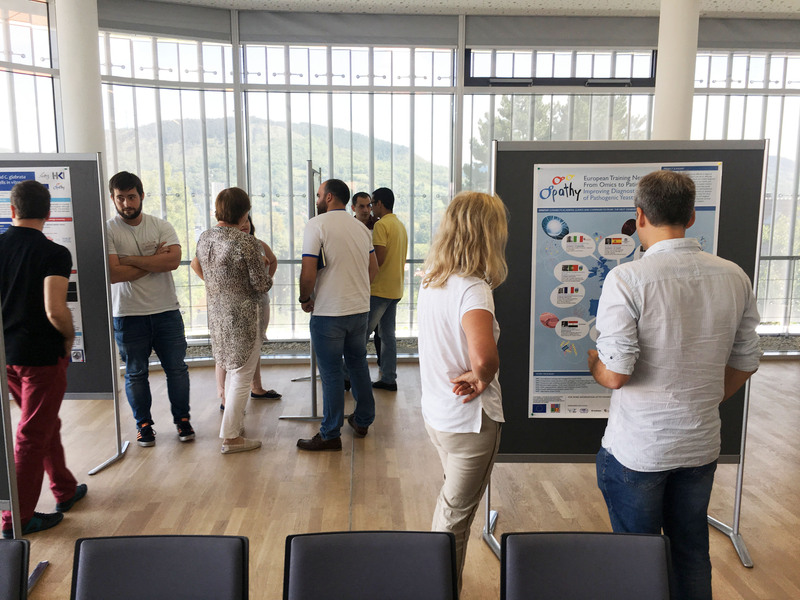 The second OPATHY Annual Meeting/ Summer School took place from 27th of August till 1st of September at Hans-Knoell-Institute in Jena, Germany. The first day of the meeting was an official mid-term review, during which the coordinator of the Network, Toni Gabaldón, gave an overall update about the project progress. Afterwards all 13 ESRs indformed in an oral presentation and a poster session about the research they have done so far in their indivdual research projects. This course, based on W1, will cover the use of functional genomics and cellular approaches to analyse the different stages of infection, using established in vitro and ex vivo models and alternative in vivo models. ESRs will learn quantification of fungal adhesion, invasion and damage, routes of invasion (discrimination between induced endocytosis and active penetration), cellular and molecular analysis of interactions with host cells (e.g. RNAseq). Theoretical and practical knowledge of current practices in how to apply bed side tests, to manage human specimens, interpret results, assess the risk of infections, monitor treatment, check for fungal outbreaks and how to best prevent fungal infections. It is highly important for OPATHY trainees to become aware of the valorisation potential of their work, and know the potential pitfalls in this challenging process. This half-day introduction course aims to increase the trainee’s awareness on the general aspects of valorisation and company creation. The final Agenda of the 2nd Annual Meeting/ Summer School can be downloaded at the bottom of this page. More pictures of the 2nd Annual Meeting/ Summer School can be found here.